Rebuilding The Black Beauty Business | New Growth Hair Magazine | We capture the culture of urban barbershops and beauty salons. 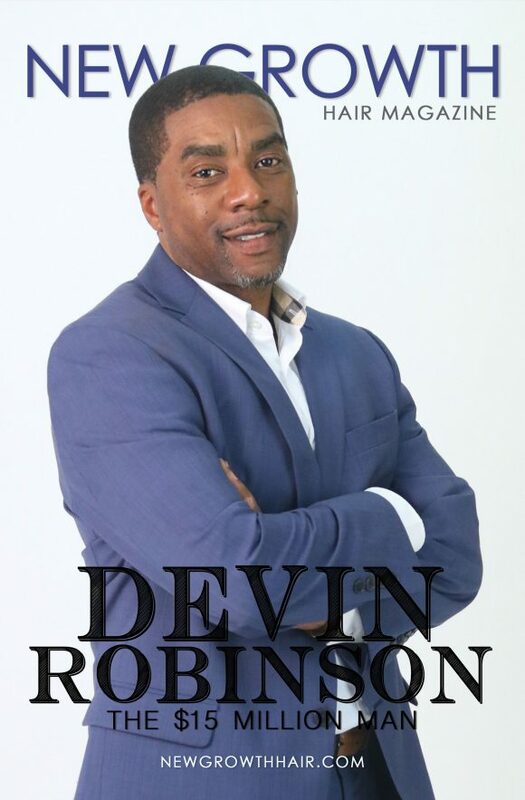 Devin Robinson aka “Professor Devin” is a successful entrepreneur, business educator, and author of eight books. He was born and raised in St. Thomas, United States Virgin Islands. He served two terms in the U.S. Army before leaving in 1998 to become a network engineer at MCI WorldCom. In 2004, after surviving a series of massive lay-offs, Robinson resigned from his position to become a full-time entrepreneur. Robinson has successfully opened and operated barbershops, beauty salons, and beauty supply stores. Robinson’s business background helped him to quickly become an expert in the beauty supply industry and led to the creation of The Beauty Supply Institute. Robinson has helped black entrepreneurs to open more than 80 black-owned beauty supply stores that have generated more than $15 million in revenue. He has trained and consulted with thousands of aspiring entrepreneurs and helped them to establish brick and mortar businesses in the United States, Canada, and the Caribbean. Professor Devin insists that entrepreneurship is the 21st century civil rights movement and believes black business ownership is the solution to crime and other social problems that plague urban cities. Below is my in-depth interview with Professor Devin about the beauty business. Phillips: How did you get the name Professor Devin? Robinson: For about eight years, I was a business and economics professor. After a few classes, my student quickly picked up that I wasn’t the typical professor. I tried to hide who I was outside of the classroom because I just wanted my students to focus on the classroom experience. Eventually, my students began to Google me and they found out that I was an active entrepreneur who owned businesses and authored several books. I can’t remember the exact year, but my students started calling me Professor Devin and the name stuck from that point on. Phillips: What is Beauty Supply Institute? What inspired you to create it? Robinson: Beauty Supply Institute (BSI) is an organization that helps people who are interested in owning and operating beauty supply stores from idea to grand opening. Often times, BSI provides further assistance after the grand opening. In 2005, I got upset after a poor shopping experience at a beauty supply store. My negative experience led me to open a beauty supply store. When I opened my store, I didn’t know much about the industry so it took me a few months to gather my bearings and learn how to run the business successfully. But during that time, I would have a lot of people coming in saying, ‘Oh, you black, how you got this?’ I didn’t really understand their questions; I thought it was the norm to identify a problem and profit from finding a solution. I quickly began to understand that I wasn’t the norm. Over time, I began getting media request for interviews and I was featured in a documentary about the Korean takeover of the beauty supply industry. Later, I was inspired to write Taking It Back: How to Become a Successful Black Beauty Supply Store Owner, a book that provided a blueprint on how to become a successful beauty supply store owner. After, I independently sold over 25,000 copies of my book, people began asking me to offer classes and to provide business consulting to help them launch beauty supply stores. It was difficult to run a successful business and help other people without the required resources. In our community, if you have success in business, often times, people seek mentorship and they don’t understand that you might not have time because running and growing your business takes up a lot of time. So, instead of just focusing on my beauty supply store, I decided to start an organization dedicated to helping people start and run beauty supply stores. Phillips: How did black people lose or give up ownership of black beauty industry? Robinson: Here’s how the product side of the industry works. Manufacturers create products and they look to distributors to sell their products to retailers who sell the products to the general public. During the 1960s and 1970s, when the industry was much smaller, manufacturers sold directly to retailers. During the 1970s and 1980s, Koreans began to open retail beauty supply stores. As their businesses grew, they started setting up distribution centers and gained majority control over product distribution. Right now, Asian distributors control who gets products, when they get the products, and how much retailers pay for products. We need more black distributors but we don’t have enough black owned beauty supply stores for black distributors to operate successful businesses. 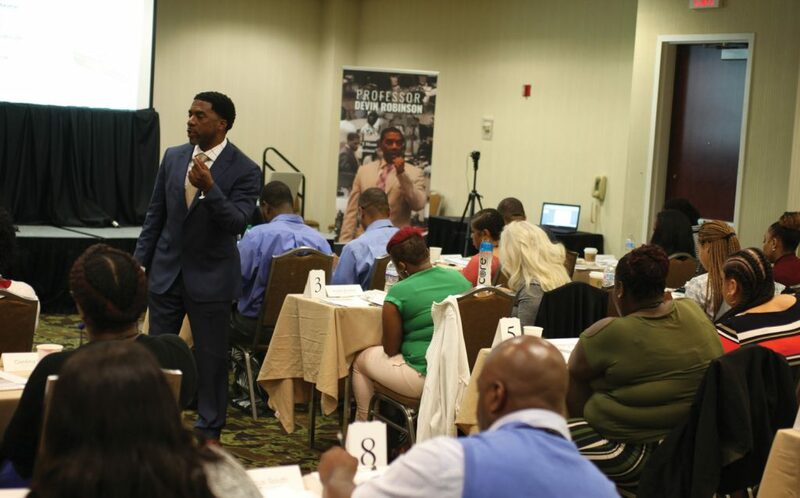 The focus of Beauty Supply Institute is to help create more retailers that can economically support distributors. This is the first step in taking control of our industry. Phillips: Prior to the inception of Beauty Supply Institute, did black beauty supply stores owners face any type of obstacles or discrimination when they were trying to purchase supplies to stock their stores? PD: Absolutely and they still do. If you don’t know how to properly set up your business, then you will face some serious challenges. Often times, business is built on relationships. If Asian store owners have been doing business with a distributor for 10 or 15 years, they will get price break, discounts, special treatment, and special branding. When a brand-new store owner opens up a store, they aren’t going to get the same treatment. The new store owners must prove themselves by building a business relationship, ordering in large quantities, and paying on time. The distributors are loyal to their existing retail customers and they aren’t going to risk their long-standing relationship for a new unproven store owner. During the past 12 years, I’ve developed relationships with the Asians, Caucasians, and Black people. I don’t have the issues that a new store owner has with building a relationship, pricing, or getting products. I use my leverage with distributors to help new stores owners who are members of Beauty Supply Institute. Phillips: What’s the difference between a black entrepreneurship experience and the experience of other non-black entrepreneurs? Robinson: So, there are three challenges that a black entrepreneur faces 1) high paying customers 2) attracting high skilled workers and 3) receiving adequate capital or funding. These three issues are largely predicated on the lack of financial institutions that can identify with the black entrepreneurship experience. The high skill worker and the high paying customer are due to cultural stereotypes. We face challenges attracting high paying customer because many high paying black customers still believe that old adage that “the white man’s ice is colder”. Many people in our community believe that the black entrepreneurs don’t have a high-quality business so they don’t plan to spend a whole lot of money. On the other hand, in many cases, black business owners are not business savvy because most of the black people who should be business owners have chosen to go the corporate route. It’s hard to convince the most talented black people to become business owners because the colleges (even HBCUs) don’t encourage them to go out and conquer the business world, they are encouraged to climb the corporate ladder. Our culture trains young people who should be our future business leaders to go find the highest paying job, find the most secure situation with the best benefits, and live your life avoiding as much risk as possible. So, what we are left with is; individuals who are corporate rejects, convicted felons, and unskilled people who lack business sophistication, these are supposed to be our business leaders. Many of our business owners aren’t the ideal people to attract highly skilled workers and high paying customers. The customer service experience is probably lacking because of the low skilled workers and the prices are higher because of the lack of funding which prevents the business owner from buying in bulk. In this country, black people represent about 13 percent of the population while Asians only represent 5.6 percent of the population. Asians have created self-sustaining communities by simply buying from each other, selling to each other, lending and investing in each other, and working together but we aren’t doing the same. Phillips: You have a lot of people who are interested in becoming entrepreneurs, they understand the importance of entrepreneurship but they don’t think they can win in the business world. If we could forecast 10, 15, 20 years in the future, do you think we can compete and win as entrepreneurs? Robinson: Yes, I definitely think so. In a fight, the person who is not afraid to lose is the most dangerous. Right now, many of us are afraid of losing so when we try out entrepreneurship, we only dip our toes in the water. We try to do it in a very safe way that mitigates our risk. With this extremely safe approach, we mitigate our risk so much that we also mitigate our rewards. We must become fearless and rid ourselves of the fear of failing or losing. Most successful entrepreneurs view what most people consider a failure as a business lesson. We have been conditioned to think that entrepreneurship is risky and that Corporate America is safe. Black people must understand that we have a comfortable lifestyle because of the mercy of white people. We are not having a comfortable lifestyle because of us. We haven’t created business communities that are economically self-sustaining. We get our comforts because of the mercy of good white people. They are affording us the opportunity to put our money in their banks, get their loans (whether they are high interest rates or not), purchase their vehicles, purchase their insurance, and purchase their clothing. If you want to purchase premium clothing you’ve got to go see a European person. We don’t have ownership interest in premium brands. We must realize the current state of black people in America. We must become fearless and quickly get serious about entrepreneurship. If a small percentage of us get serious and fearless, we can make a difference within 20 years. Phillips: What’s the difference between the mind-set of an employee and an investor or a business owner? Robinson: The mind-set of an employee is; I pay myself first and then rummage through whatever is left. Often times, employees find themselves living from check to check. Investors pays themselves last because investors are focused on creating a system that’s going to support them economically. I teach our students that as African Americans, our focus should be to live off of our interest, which is the real essence of wealth. If you are not living off of your interest, then you are living off of your labor. Living off of your interest means creating passive income, this does not come from passive behavior. When you are living off your interest, every two weeks, you are constantly renewing that lease on your entrapment which generate multiplies of what you invested. Most employees don’t understand that. They see their $50,000 salary as a way to finance their lifestyle. An investor sees a $50,000 job as a funding source for their business and plans to use that $50,000.00 to create a system to generate and regenerate more money than could be produce by working for a company. Phillips: Do you have any closing comments? How can our readers follow you and find your products? Robinson: Your readers can follow me on social media at professor Devin Robinson on all social media platforms. I invite your readers to visit the Urban Business Institute for our entrepreneur training and Beauty Supply Institute for general information about how to open beauty supply stores. Also, they can find additional information about me at devinrobinson.com. If any of your readers are serious about learning the skills to become a successful entrepreneur, we have classes and books that are available. I’m looking for black people who are interested in us collectively improving our economic and social conditions. If you are an individual that is selfish and only interested in securing your own personal wealth, then I’m not the guy for you. If you are an individual who wants to create change, leave a legacy for family, and create business opportunities that benefit our entire community, then we can work together.